“Time is money,” or so the adage goes; but how easy is that to quantify? Well, for many businesses, this is a simple equation to work out. Whether you go by operational and repair costs, salaries, or products, knowing how much you spend to stay productive can help you understand how much money you’re losing when the plant has to be shut down for repairs or a piece of equipment slows down. Crushing and screening equipment are undoubtedly two of the most important aspects of construction and material handling operations. The efficiency of your crusher and screening equipment will ensure the rest of your process runs smoothly and with minimal maintenance. This equipment receives harsh wear from the material it’s processing, so planning parts replacement and maintenance will keep your crushers and screens running smoothly. You can do this with a preventative maintenance and part replacement plan. Construction work relies on many different tools and pieces of heavy-duty equipment, and screening equipment is one of them. 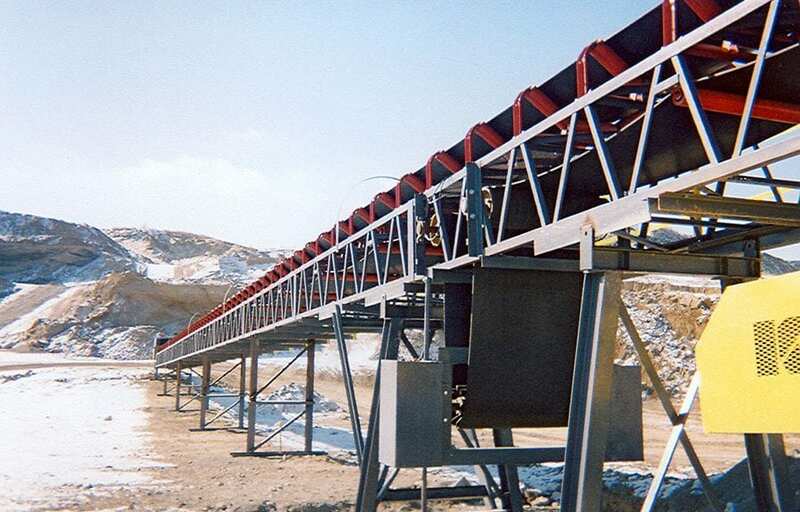 If you need to learn more about screening equipment, it is designed to sort raw material from quarry sites, mines, recycling plants, and more. Once the material is sorted it can be further processed, or converted into a sellable product. In the case of construction, this may be a way to sort waste from usable material onsite or to make the transportation of material easier. Preparing rocks for paving is another common use of screening machines in construction. If you’re looking to invest in screening equipment for your company or job, consider these top five benefits. Not only is the ability to separate materials beneficial for the production process, it can be good for organizing the usable and the useless. Production will go more smoothly if all the undesirable bits—the pieces that can’t be used toward the end product—are sorted out. Sorting raw material according to the grade (big from small/small from big) is a huge benefit for places like quarries, construction sites, or other raw material handling plants. As large chunks of material are ground down by the crushers, it’s very helpful to have the differently sized pieces sorted from one another. Once sorted, some of the material can be put to use, such as gravel, and the rest can be stored for later use. 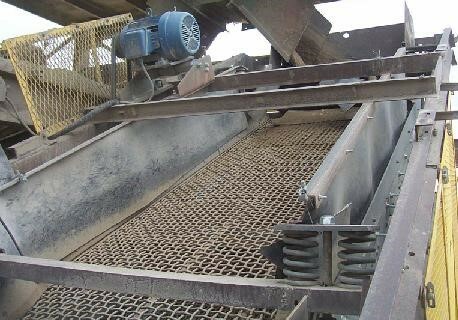 Whether you need to install screening equipment alongside a crusher as part of a full circuit system, or you just want to use the equipment as a standalone piece, it can accommodate either set up with ease. Depending on your needs, screens come in horizontal or inclined designs. Horizontal screens operate at 0 degrees and provide greater accuracy when sizing as material stays on the screen longer and at a slower rate. They are often used as finishing screens or in portable plants. Inclined screens operate at angles from 10-35 degrees which means gravity helps move the material down the screen. Typically inclined screens cost less and are used in stationary plants for most any stage in processing. Where is our job site located? Are we going to process raw material or have to sort through rubble of any kind? Do we want to incorporate a crusher or use the screening machine alone? Screening equipment could be the answer to your onsite problems. Consider the needs of your project, and if any of these five benefits might improve your workflow. The versatile nature of screening machines makes them ideal for a range of industries. Chances are, there’s a design or size for your construction needs; and if you can’t find it, a systems specialist like Kemper Equipment can help find the configuration that gets the job done. Investing in material handling equipment can be a stressful endeavor. It requires a great deal of capital and experience navigating material handling equipment suppliers, along with answering many questions you may not even know to ask. To make the decision-making process easier, here are six questions to ask your material handling equipment supplier before you buy or rent from them. 1. If I want to source all of my material handling equipment from a single provider, would you be able to accommodate that? It’s much simpler in the long run to deal with a single material handling equipment supplier. Having to purchase/rent equipment from different dealers and being serviced by all of those different dealers can be time-consuming and costly. Working within an established partnership means you’ll have access to reliable support, a knowledgeable dealer, and access to the parts and equipment you depend on. 2. Is this piece of equipment the one I need or just the one you have in stock? Generally speaking, dealers want to make the sale, and some aren’t above offering equipment that they have in stock as opposed to providing you with equipment that matches the specifications you provided them with. You want to partner with a dealer who has your best interests in mind, and if their only concern is making money then they aren’t right for you. 3. If I buy from you, will you be able to support and assist me with the brands you’re able to provide? Dealers will sometimes go out of their way to supply you with specialty equipment even if they don’t readily keep it or the brand in stock. This can mean that they may lack the knowledge, experience, and ability to support that piece of equipment once you buy it. Ask the vendor if they’re an official agent/dealer of the brand to ensure you’ll be able to get the in-depth product training only an official brand agent would have. Aside from the lack of support on the dealer’s part, you’ll also lose out on access to genuine OEM parts in the event you need maintenance or a replacement. 4. What’s the warranty—and under what conditions won’t you honor it? Purchasing new material handling equipment always presents some form of risk, which makes warranties a very valid necessity. However, not all equipment will include a warranty—or the same kind of warranty—so it’s important to verify the full details of any warranty with the vendor, including whether it features an extended warranty or something that is more short-term. Also, be sure to verify that the warranty is one the dealer or manufacturer is able to honor. 5. What is your average response time for breakdowns, and do you offer 24/7 coverage? 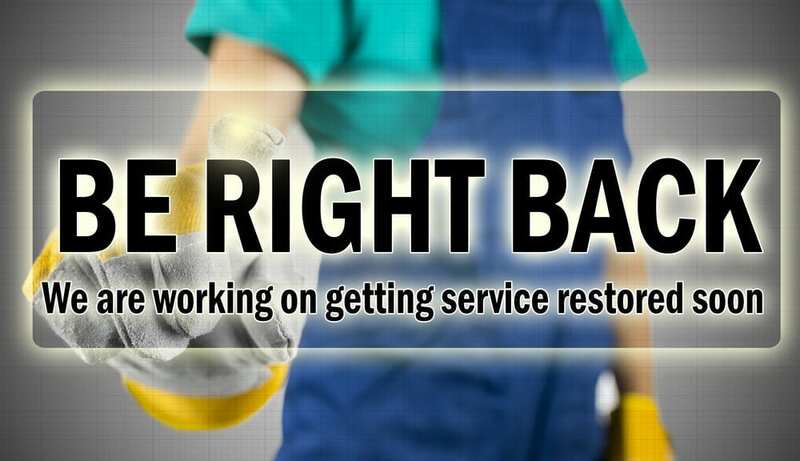 Part of the trust you place in a material handling equipment supplier involves being able to count on them for routine servicing, but anyone in this business knows that it’s the unplanned maintenance you have to worry about most. It’s important to ensure that your supplier can respond to emergency call-outs in a timely manner, or else you risk losing money on downtime. Make sure to ask them how long their average response time for emergency call-outs is, and whether they’re available 24/7. Another important question is whether they can provide customer support plans to cater to your unique needs. Every project is different and so is the array of equipment you’ll need. Will your material handling equipment supplier force a one-size-fits-all servicing plan on you, or will they work with you to find a solution that fits you best? Depending on the size of your operation or fleet, you may also want to ask about the possibility of on-site engineers or maintenance personnel. Lastly, ask if they have any guarantee on their emergency service. 6. How can I be confident your business will be here and able to support me over the long-term? Companies come and go, especially in the competitive materials handling industry. When a dealer can no longer compete, they’re typically forced into liquidation, are absorbed by another brand/company, or cease trading—all of which can leave their current list of clients scrambling for support and answers. Even manufacturers aren’t immune to the competitive landscape, forcing them and their available support to vanish from the market entirely. In choosing a vendor, you’re electing to depend on them for new equipment, maintenance, and support; and you want to know you are dealing with a dealer or manufacturer that has substantial staying power. If you invest your money in a brand or dealer that goes out of business, you risk losing equity, money, and support, which can ripple into your own business. Losing your dealer support suddenly can lead to prolonged downtime as you attempt to find a new dealer, a new brand, or new support for the equipment you’ve already paid for or are renting. Discover why material handling systems and processing equipment is Better with Kemper. Contact us today at 610-273-2066 or sales@kemperequipment.com. When it comes to revenue, conveyor uptime is everything. If your equipment isn’t running then it’s not producing; and if it’s not producing, there goes your profit. Conveyor equipment is often the linchpin in any operation as it’s responsible for conveying your material from point A to point B. If you have to shut your conveyor equipment down for maintenance—even if it’s routine—doing so off-schedule can be costly. In fact, any industry is subject to the damage unplanned downtime can cause. A study by Information Technology Intelligence Consulting Research indicates that for the average business, the loss of a single hour of productivity can cause anywhere from $100,000 to $5 million in lost revenue. For an industry that depends on material handling equipment to stay efficient and profitable, a temporary shutdown can have far-reaching impacts on the rest of the production and supply chain. If material can’t be diverted from point A to point B, then that material collects at point A, threatening to create a buildup that can further halt production. Downtime is unavoidable, however; but through careful management and planning, its effect on production and the bottom line can be minimized. The result of a shutdown or sudden downtime can cost you on production; but also affect costs to consumers and even shareholders. Due to the potentially long-lasting or far-reaching effects of unscheduled downtime, being able to optimize equipment performance and any processes in place is crucial to the overall health of a project and company. This means there’s much more to solving the problem of “unplanned downtime” than just equipment and that not all of these things can necessarily be prevented. The best you can do to maximize your conveyor equipment uptime is by having the right plans and processes in place. There are a couple of ways you can accomplish this. 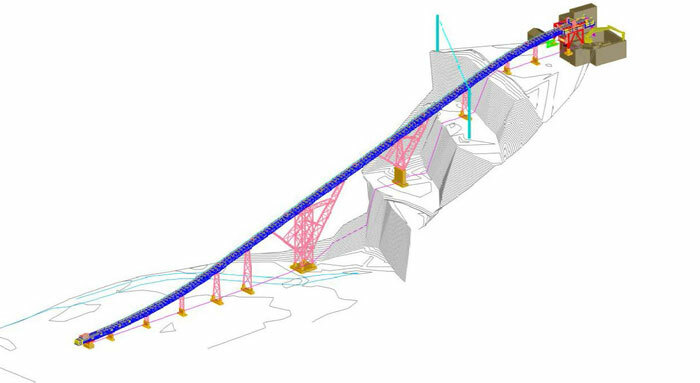 In mining and other operations that require the use of conveyors, one option being utilized in recent years is smarter systems. These systems often allow operators to remotely monitor and manage equipment performance. This might include an early warning system to alert workers that there’s a potential blockage on the conveyor somewhere, or that something may go wrong if operation isn’t adjusted. Such systems not only allow equipment and projects in difficult-to-reach areas (as it is with mining) to be monitored, but they can also be regulated to prevent accidents and optimize operational efficiency. Conveyor belts can be protected further by using machines like tramp metal detectors. They can be used to detect and pull metal from materials being processed on conveyor belts, which helps avoid damage to the equipment or causing a system shut down. Eriez is a manufacturer of industrial metal detectors and provide an excellent way to learn more about how to protect your conveyors. To keep your conveyor equipment running well, you need to not only understand the life cycle of each piece of equipment involved, but also implement a consistent cycle of preventative maintenance. Many companies have the bad habit of pushing their equipment to the limit just to keep production going; however, without regular maintenance and conveyor part replacement, conveyors can easily succumb to overuse and break down long before they’re expected to. This goes along with understanding the life cycle of your conveyor equipment. To truly optimize the life of your conveyors, it helps to have a good relationship with your parts supplier, as they will be able to notify you of when parts need to be replaced or a special offer on parts is available. Conveyors wear down over time, even with regular maintenance, and if you know ahead of time that one of your conveyors becoming obsolete, you can make the necessary preparations so that production doesn’t stall when you find yourself in need of a new one. When a business shuts down unexpectedly, it can damage relationships—with customers, investors, etc. While you do have to worry about a drop in revenue, a lost or damaged relationship with the people you depend on for business every day could produce longer lasting consequences. By having a plan in place, you can offer those customers, shareholders, and investors some peace of mind in knowing that you’ve got a plan and are taking immediate action to minimize any lost productivity. Managing your processes and maintenance plans is only part of the solution. To maintain a conveyor system that optimizes your production and profit, consult with the professionals. Quarry, mining and mineral processing plants rely on the efficiency of processes to maintain productivity and stay under budget. While there is a great deal project managers can do to lower time and resource wastefulness, such as by implementing smarter procedures and only employing highly trained professionals, one of the primary factors that will impact a quarry or mine’s ability to deliver on time and on budget is the design of its material handling systems. A custom-designed plant, material handling system, or custom conveyor system are essential if you find your objectives to be unique in some way that a traditional setup can’t accommodate. Some plants handle more than one type of material or aggregate, or their projects cover a wider range than normal, so plant flow and site layout are going to require special attention. Moreover, you’ll probably need to make modifications to some of the material handling equipment you use to meet your project’s needs. Even a simple project might require something custom to ensure you can meet your deadlines on time. 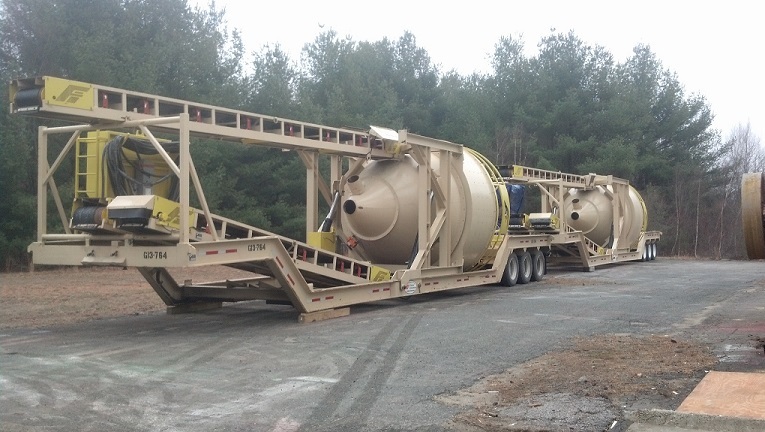 Modular equipment and customized machinery are the staples of a flexible operation. When you need something done to certain specifications or run-of-the-mill equipment just isn’t cutting it, you can expect a vast improvement in operational efficiency by adopting something that was built to spec just for you. A good project manager knows how important proper site or plant flow is to daily efficiency and meeting goals, so having the right equipment to support their specific processes and flow design is crucial to the operation’s overall success. When you can customize material handling equipment to address your quarry or mine’s unique demands, you’re actively enhancing the site flow. Perhaps your operation requires something portable. That’s something you’ll have to take into account when selecting your equipment, or else you’ll wind up with an inefficient setup that ignores the essentials of workflow, costing you time, money, and project efficiency. After all, there’s little point in wracking your brain over plant flow when you don’t ensure the equipment matches up with your needs and goals. Integrated material handling systems can deliver a smoother operation all around. When you have a mix of manual, semi-automated, and fully automated systems, it’s important to make sure that those processes and pieces of equipment run complementary to one another and are in sync. A truly integrated system will strive for coordination, cohesion, and connectivity—and these are all benefits you can achieve through a custom design or build for your plant or project. Supporting every part of the production cycle can be intensive, but it’s achievable when you take the time to design something tailor-made to the job at hand. Any supervisor or site operator can purchase equipment and set it up. Without cohesion between site flow and your equipment, coordination between segments of the production cycle, and connectivity (real-time monitoring, inventory management, etc. ), you won’t be running as efficiently as you could be. Investing in the development of a custom build or design for your quarry, mine or mineral processing plant can be the difference between running on time and on budget or not. Of course, this may vary depending on the nature and size of your project and any budgetary constraints. But if you want to see results and improvements to how efficiently your operation can run, then consider a build that’s been engineered to meet the demands of your job so you have something to make your business stand apart from the competition. What is Recycled Asphalt Product and How Does It Work? Contractors—and customers—are always looking for a way to stay under budget without sacrificing quality. There’s also the matter of minding the environment. Thankfully, there’s an aggregate material that can help reduce waste and provide a cost-effective alternative to pricier materials: recycled asphalt product. 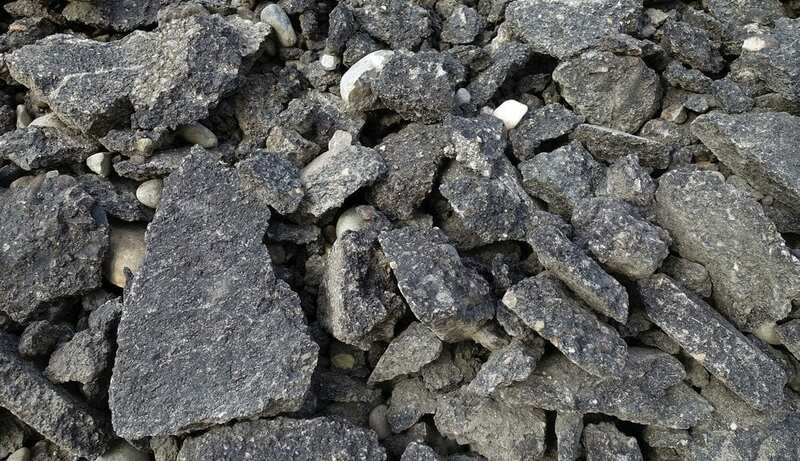 Recycled asphalt product, or RAP, is simply old asphalt that has been ground into gravel and binds together once it’s compacted, hardening again. Asphalt isn’t exactly “environmentally friendly,” so it’s typically recycled to reduce asphalt waste. This practice has made asphalt one of the most recycled aggregate materials in the country according to the National Asphalt Pavement Association (NAPA). Using RAP is considered green, which is a big incentive to recycle and reuse asphalt. Many states require new roadways and paving contain a minimum percentage of RAP. Check with your Department of Transportation for specific requirements. Along with its use by municipalities as part of a base or subbase material on highways and roads, it’s also used by contractors as a base layer for residential driveways, in parking lots, gravel road rehabilitation, and even bike paths. Using RAP can be very cost effective for both customers and contractors, especially if the work is being done in remote areas and is a large enough area to be covered. The lower initial cost is a huge incentive for contractors trying to stick to budget; and the quality offered by recycled asphalt product is invaluable as a base foundation. Even local governments are able to benefit from the significant cost savings offered by recycled asphalt. AsphaltRecycling.com reports that savings can range from $30 to $80 a ton. For companies who recycle consistently can expect large savings. Through the use of RAP, less reclaimed asphalt is winding up in landfills. Technology has been steadily advancing the percentage of asphalt that can be recycled, which can further reduce any negative environmental impact asphalt production and use might cause. More projects are featuring increased amounts of RAP, meaning there’s less waste, a lower cost, and a higher quality result. Another advantage to recycling asphalt is it also reduces the quarrying, mining, and oil consumption required to create new asphalt. This also cuts down on necessary resources and material, some of which are already scarce in certain areas of the United States. There are various types of equipment you need to produce Recycled Asphalt Product. 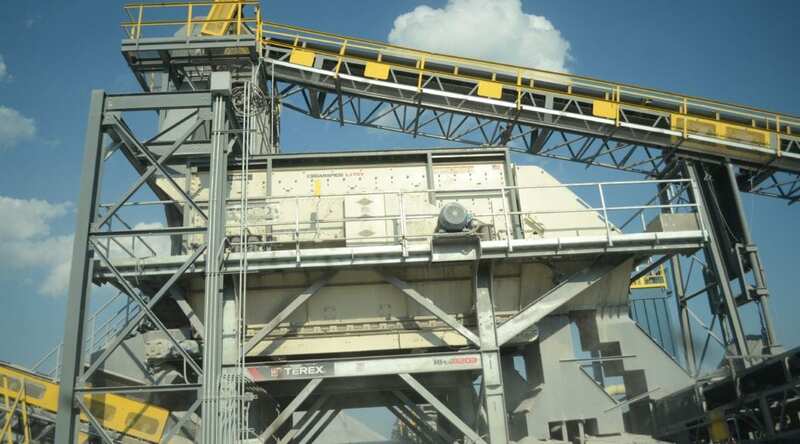 RAP screens, RAP crusher and impactors, recycling crushing & screening circuits, stockpile conveyors, and telescopic conveyors all work together to create the final product. If you’re looking to stay under budget and want to go green, consider recycled asphalt product. It can be used in a number of projects in various ways, and almost always offers a more stable solution than other commercially manufactured aggregate materials.